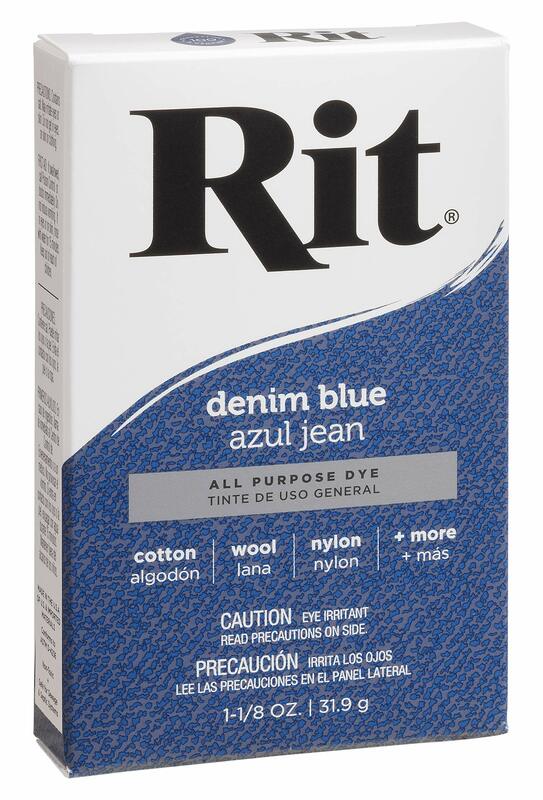 This versatile, easy-to-use and non-toxic powder dye is ready to deliver vibrant color to almost any type of fabric or fabric blend, including cotton, linen, silk, wool, rayon, ramie or nylon. 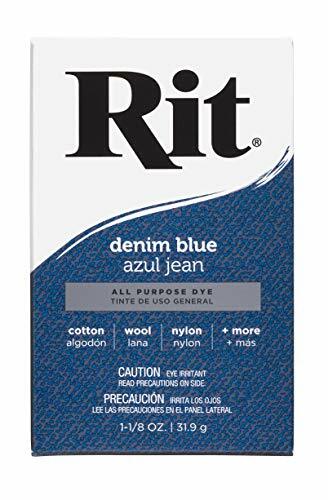 Perfect for rejuvenating faded clothing, changing the color of apparel, shoes or accessories, coordinating home décor, hiding laundry accidents and so much more. Looking to create something unique? Rit has been tie-dyeing clothing and décor for decades. It’s also the perfect tool to create an ice dyed, dip dyed, marbled or shibori pattern. It can even dye wood, wicker, paper and cork. Whether you are rescuing faded jeans, creating a costume or decorating for a party, all you need is a washing machine, plastic container or stainless steel sink to get started. With 500+ color recipes available on the Rit’s website, it is almost certain you’ll find the right color for your needs. Love the product,refreshes clothes for every color.